RTR Subscriber Discount: 15% OFF All products! 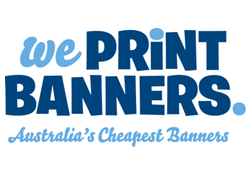 Australia’s cheapest and best value for money banners, based right here in Perth. They can print everything from pull up banners to stage backdrops and can even help with the design. Call them today for a free quote or information regarding your printing needs.